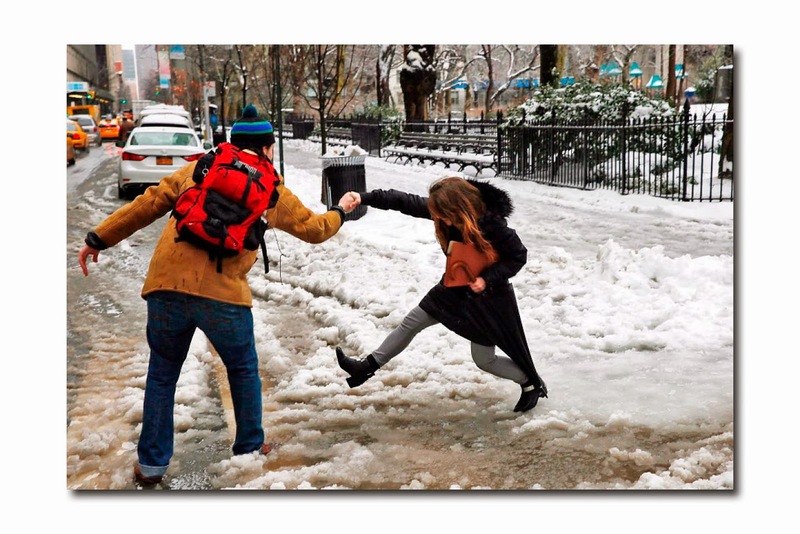 : In the Market Report: Slush "Fun"
In the Market Report: Slush "Fun"
Spring can’t come soon enough but for now, we are mired in winter and there are no signs that the frigid weather, rain, sleet, snow, and ice conditions will let up anytime soon. (Monday was Groundhog Day and according to Punxsutawney Phil, we will have to endure 6 more weeks of winter). 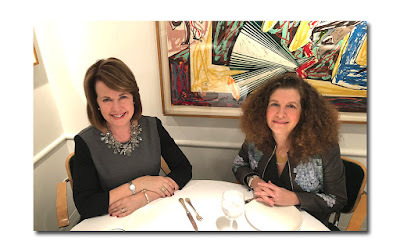 Just about now, most of us need all the help we can get to stay upbeat and keep our senses of humor intact, and just adding a punch of color, a graphic pattern, or something wonderfully whimsical can go a long way to elevate our moods. 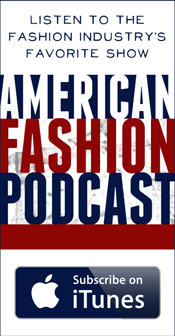 Thankfully, as you already know, form and function have become inextricably linked in fashion, and braving the elements in style has never been easier. 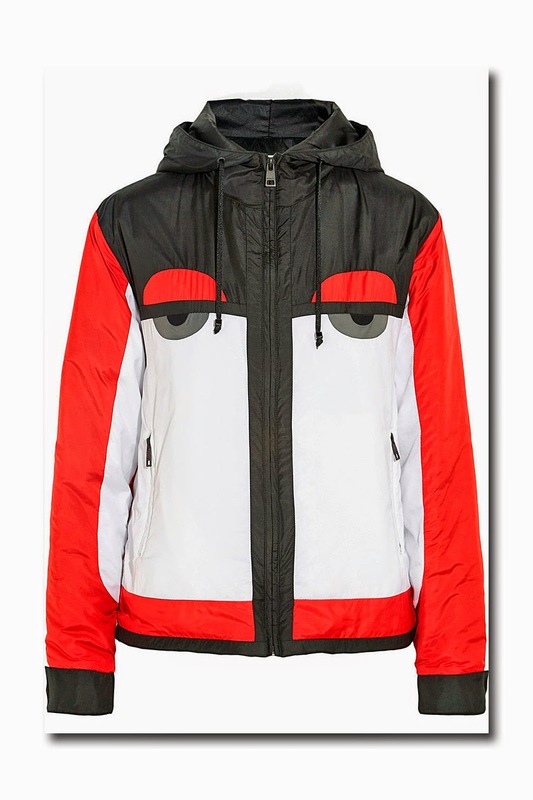 In some cases, the selections (which are especially guaranteed to keep you warm, dry, and slip free), are so good looking, and whimsical, they will not only tickle your fancy, and amuse you, they will invariably put a smile on the faces of passersby. What could be better than that? Because heat escapes from the head, it’s important to keep it covered. Fendi’s multicolored stripe wool beanie has a black fox fur pom-pom on top, $602, www.matchesfashion.com. Then there is the House of Holland’s Roxy polka dot knitted cap in black and white with chartreuse bobble, $160, www.netaporter.com. In fact, the knitted wool cap with a pom –pom has become THE hat of the season, and Eugenia Kim’s wool knit wool version, with a duo of playful pom-poms accenting the top, proves that two are better than one ($195, www.shopbop.com). Another fun choice is her chunky wool hand knit Felix skull cap with cat ears (black, navy, gray, periwinkle), $165, www.eugeniakim.com. There is nothing quite like real skiwear (with its smart built in technology) for braving the winter. Functional and practical, it works as well off the slopes, as on the slopes. 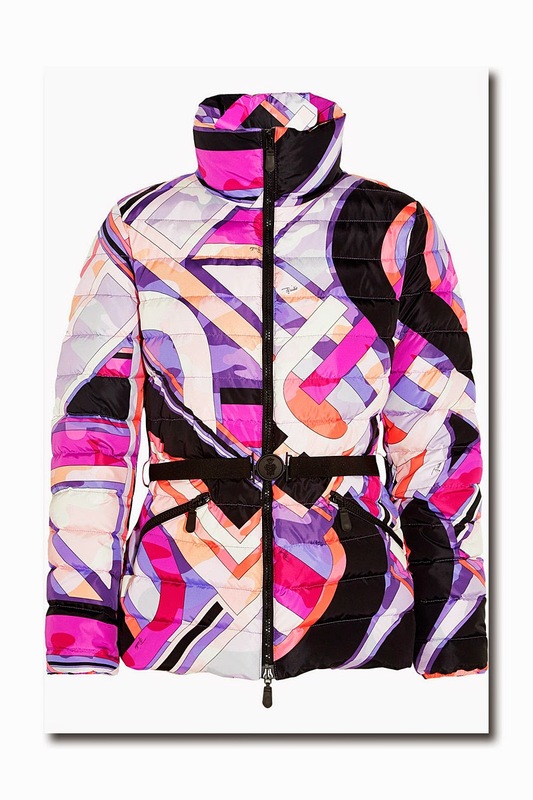 Among those graphic, eye catching pieces for sale on www.netaporter.com that have really caught my eye: Fendi’s Creatures hooded shell ski jacket in black, white, red, gray color blocks ($1450); Emilio Pucci’s quilted shell down jacket printed in the houses’ s signature geometric print, $1590 (psychedelic 60’s prints are back, as exemplified by Christian Dior’s Haute Couture Spring 2015 collection); and last but not least: House of Holland’s Roxy polka dot Dry Flight waterproof shell ski jacket, $735, ski pants, $445, and Thinsulate gloves with faux leather $160. No, I would not recommend wearing them all together please! And then of course, you need something waterproof and skid free on your feet. This is no time for trainers, ballerinas, Manolo Blahnik or Jimmy Choo pumps. Desperate times call for desperate measures. There are many good options here, and best of all, they will instantly add pizzazz to all black (which is still the uniform for many of us New Yorkers). For those who refuse to give up heels, have I got a boot for you! 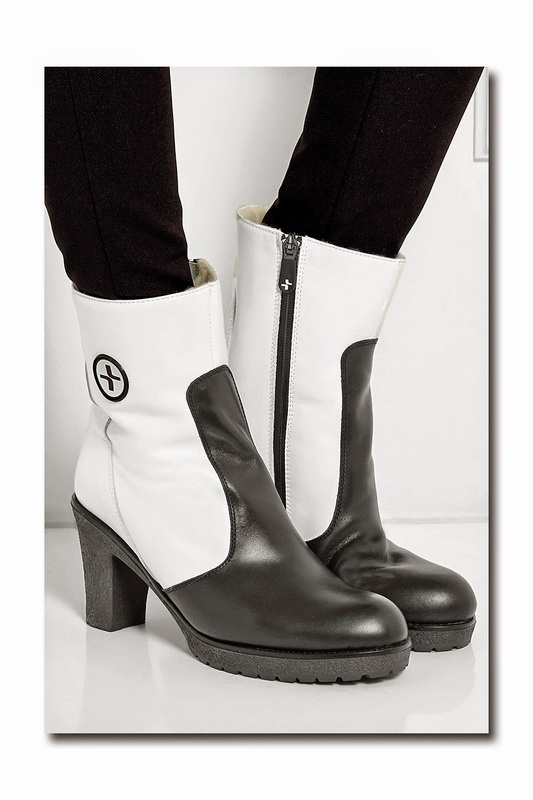 Lacroix’s Salzbourg graphic black white leather fleece lined insulated boots, handcrafted in Italy, feature a 3.5 inch crepe heel which is balanced with a gripped 0.5 platform, $610, www.netaporter.com. 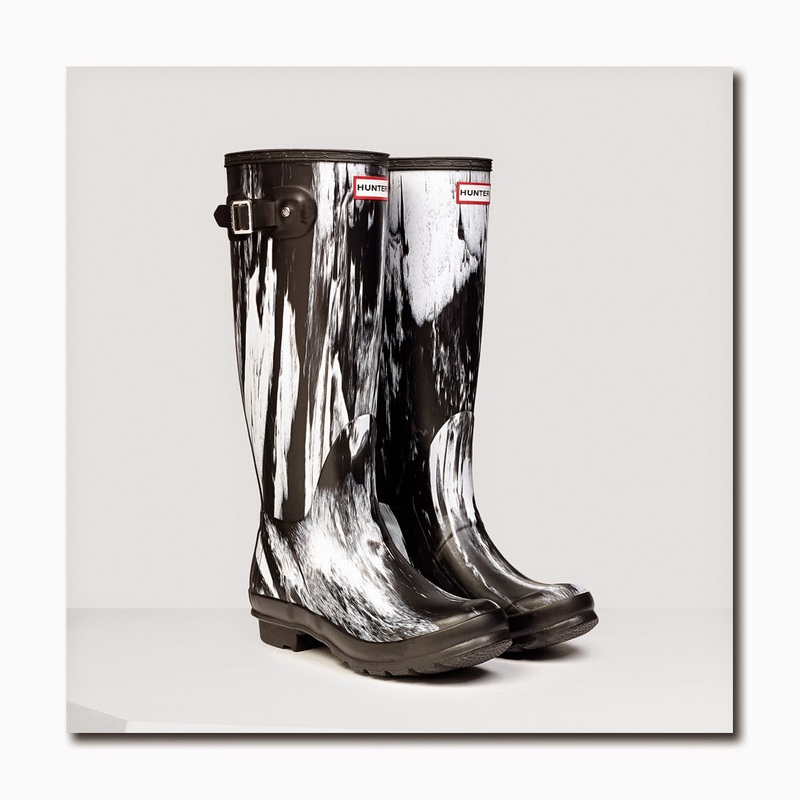 Then there are Hunter Original’s Nightfall rain boots, each pair features one of a kind, unique painterly black and white brush strokes, $225, www.us.hunterboots.com. If a flash of flame red or chrome yellow is what you’re after, check out Baffin Packables waterproof boots. They fold up for easy storage (and retain the shape), and come in their own easy to carry storage bag, so you can tote them around with you and never have to be ‘surprised’ by inclement weather. They are also available in black and gray, and you can’t beat the price, $74.95, www.onlineshoes.com. 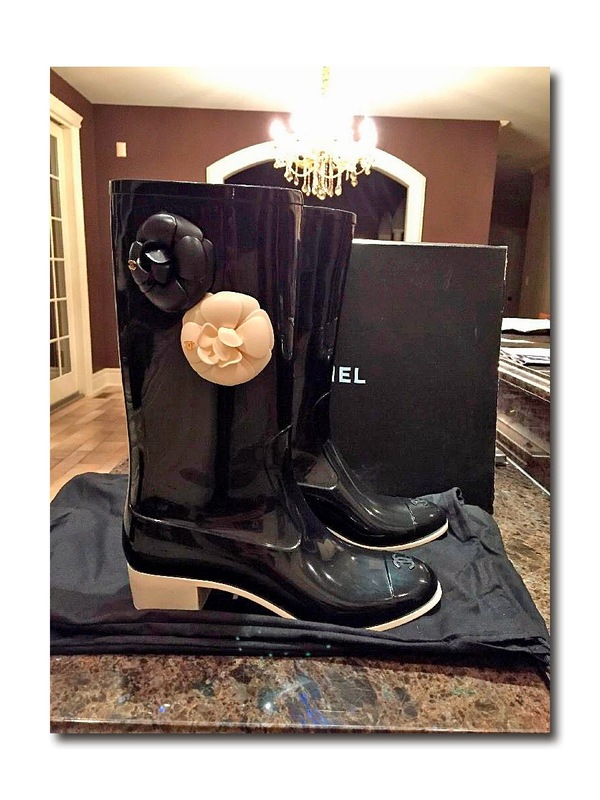 While the midcalf Chanel rubber boots decorated with the house’s signature black and white camellia (two on each side) are from several years ago, they are a classic, and could not be more perfect given the ongoing obsession with flowers (which were shown on the recent Chanel Haute Couture Spring 2015 runway). Flowers in winter? Mais Oui! And then you can continue to wear them in the spring. You can find them from time to time in limited sizes at Barneys New York, Bergdorf Goodman, Saks Fifth Avenue, and I have seen them for sale on www.ebay.com.